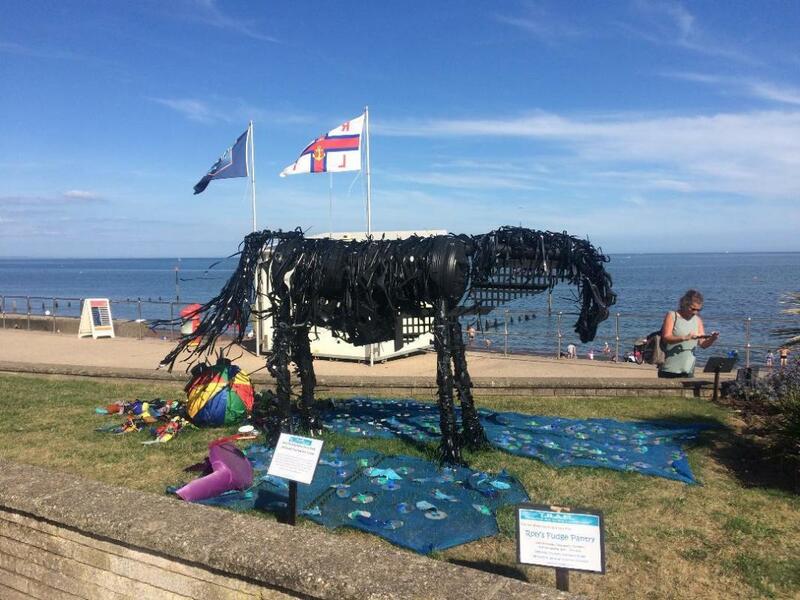 Our competition was inspired, in part, by “Trailart’s - Recycled Art in the Landscape” annual competition, which takes place in Teignmouth Devon. The following photographs were taken there last summer and allowing for the highly professional nature of many, may get you thinking about what you could create. In a light-hearted way, to raise awareness about the environmental impact of waste plastic. 2. Creative use of waste plastic. 3. The Sculptures will remain the property of the creators but may, if agreed with them, be afterwards displayed elsewhere in the town. 1. There is no restriction on size but consider transport and portability. a. The completed work must incorporate at least 70% of waste plastic material. b. Any non-plastic components should also be “waste”. c. If necessary, non-waste components may be used to make the structure stable. Will be made in the spirit of the competition. 1. Are invited from schools, clubs and associations and individuals. 2. Should be registered with the organisers by 28th March 2019.